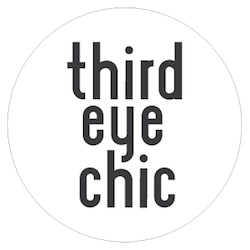 Third Eye Chic Fashion - kids fashion and lifestyle blog for the modern families: Playtime New York February 2018: A recap! 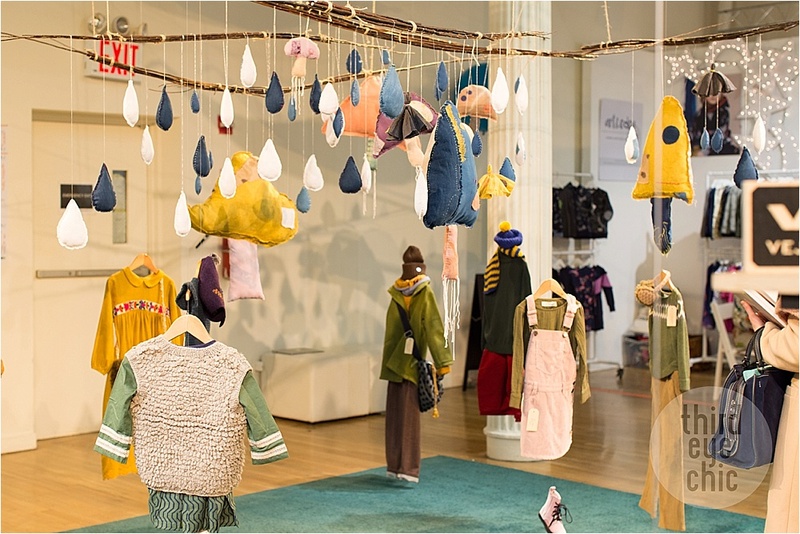 I spent earlier this week amidst a dazzling array of meticulously displayed Autumn/Winter ‘18 children’s collections at Playtime New York - a children’s trade show featuring some of the best American and international brands. I came back truly inspired by an extraordinary lineup of designers (old and new favorites) and a ton of outfit inspiration. In my short 5-hour visit, it was nearly impossible to cover each of the 200 brands showcasing their collections. I still saw a good chunk of the show and let me tell you, AW18 is going to rock this year! Apart from a prominent Autumn color palette, fine textures were eminent in a lot of collections this year - cotton, linen, satin, lace, fur, velvet, corduroy to name a few. From arty theatre and acrobats inspired prints to retro vibes and ethi-cool collections, we saw it all. 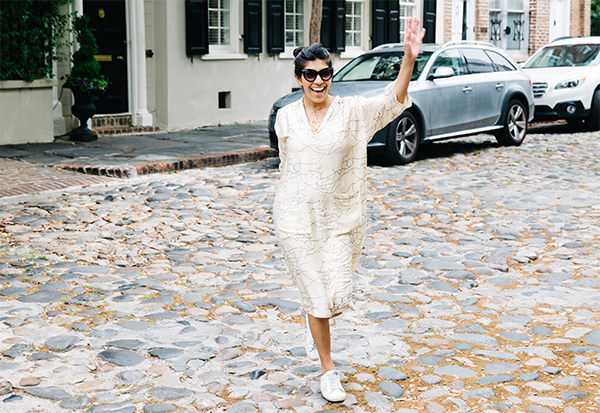 My Indian heritage and upbringing naturally draw me to vibrant colors, playful prints, and textures. Combining this style with some minimalist classics and posh tailoring, there is so much variety to choose from. As a result, we are so drawn to mixing and matching different styles, and creating our own rules and looks. Worth noting is also a shift to unisex styles - may or may not be intentional, however, some contemporary looks can easily be incorporated in boys’ or girls’ wardrobes. 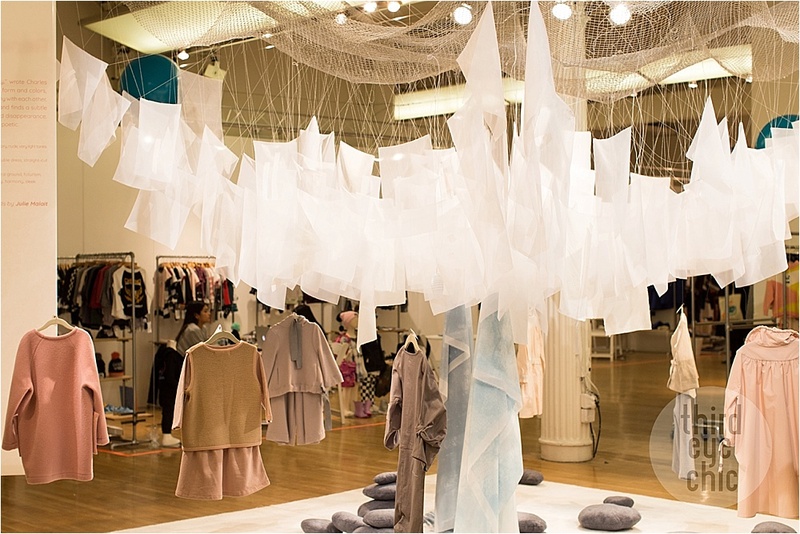 Besides swooning over the gorgeous collections, one of of my favorite things was chatting with the creative masterminds -- the designers themselves -- and understanding their vision and inspiration behind the collections. So special! 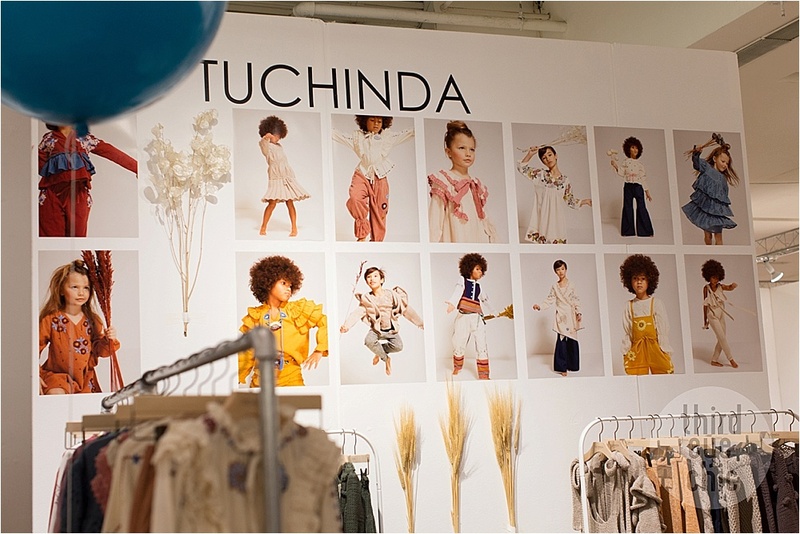 I am sharing a few pictures from the show to give you a taste of what it’s like to be surrounded by the best of kids’ fashion for a day! 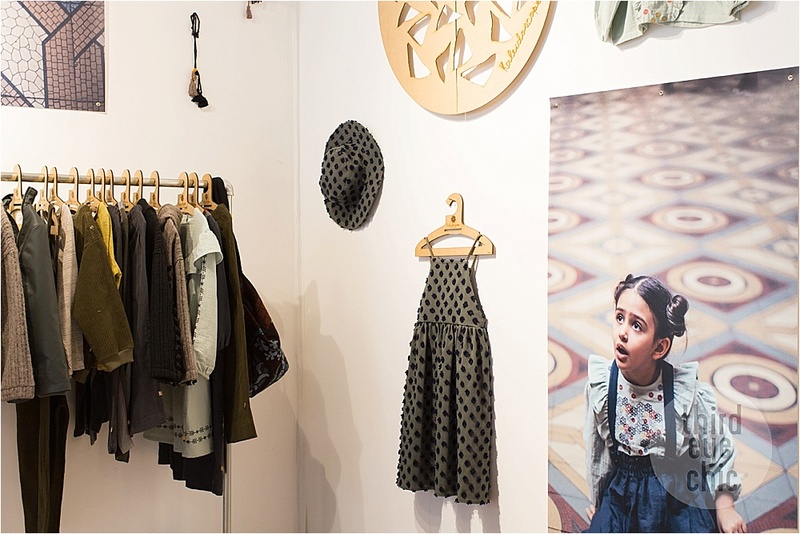 Conscious Clothing Designer Kaleidoscope from Portugal. Playtime Newyork First-Timer. We absolutely loved their thoughtful and unique collection. Such intricate details and beautiful fabrics. We loved their vests collection as well! Paade Mode: A beautiful blend of back-to-school, weekend getaway, festive, and street style. I had a great conversation with the founder Linda Raituma - she really took the time to share her vision. The entire collection has tremendous mix and match potential and can be dressed up or down as desired. Raspberry Plum's creative designs and graphics are always so fun and full of life! Missed seeing you this time Aleksandra! 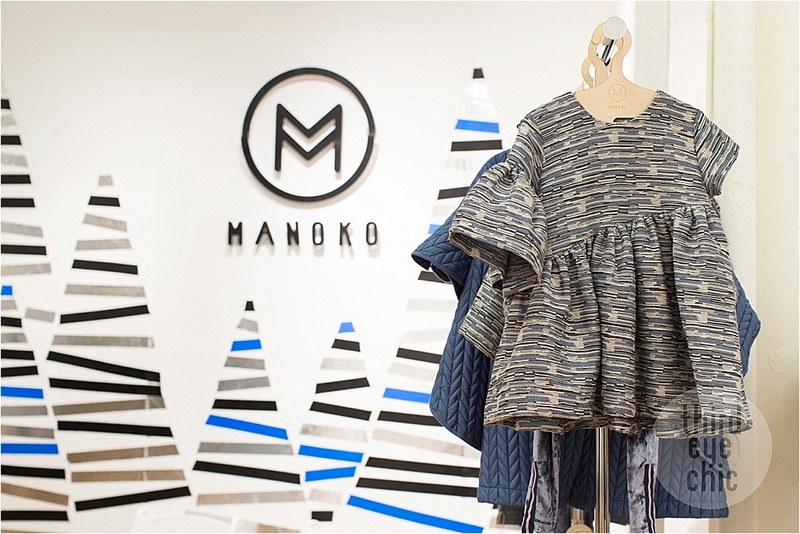 Manoco: A family-owned brand from Lithuania. Loved the textures and cuts of their collection! 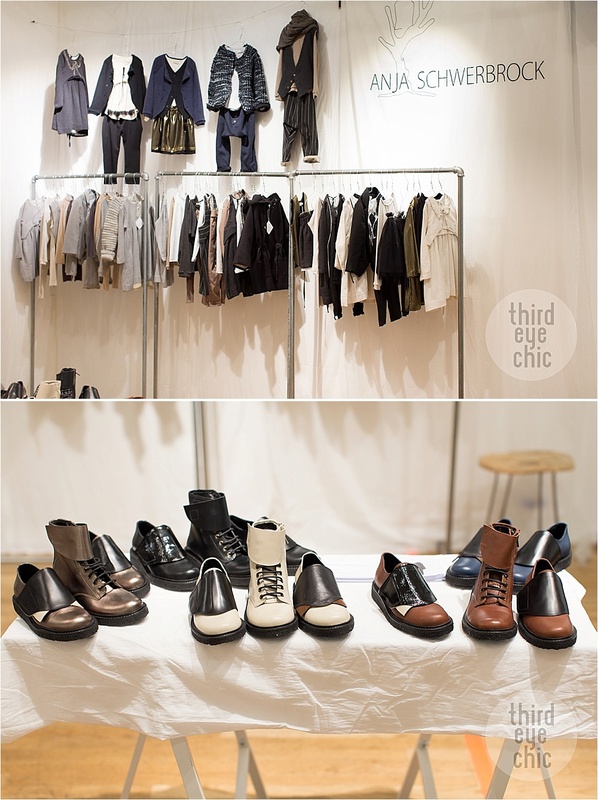 Anja Schwerbrock: Their monochrome designs are very chic and we are swooning over the debut shoe collection. Bleu Comm Gris: From school to party to bedtime, this brand covers it all. The Pajama collection is so classic and comfy looking. I just feel like putting one of these on and curling up with a good book. Little Paisley People (big kids) & Paisley Magic (babies): Gorgeous cottons and elegant cuts. 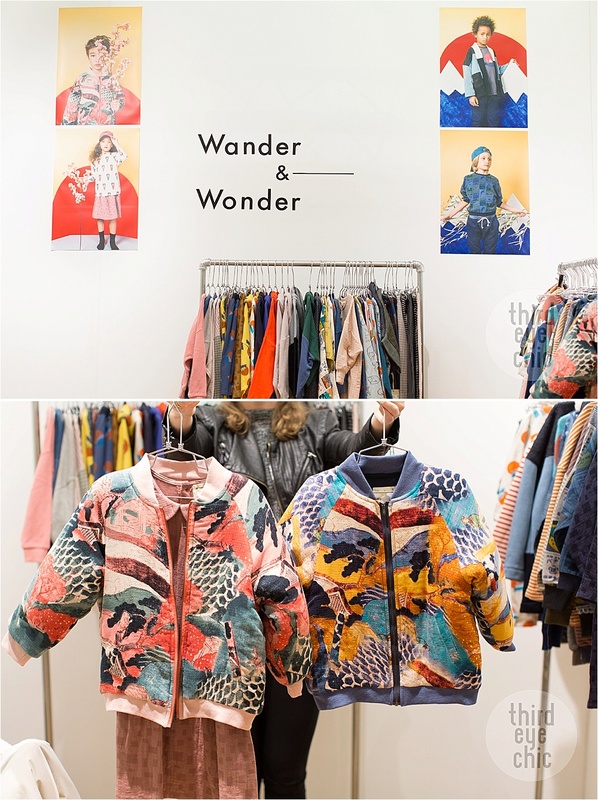 Wander & Wonder: A travel-inspired brand for curious kids who love adventure. 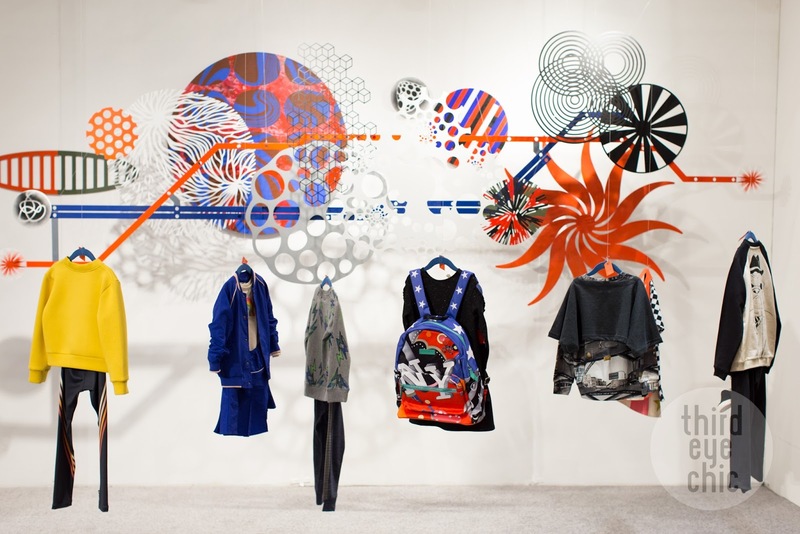 Collection is a blend of arty prints & comic book chic. 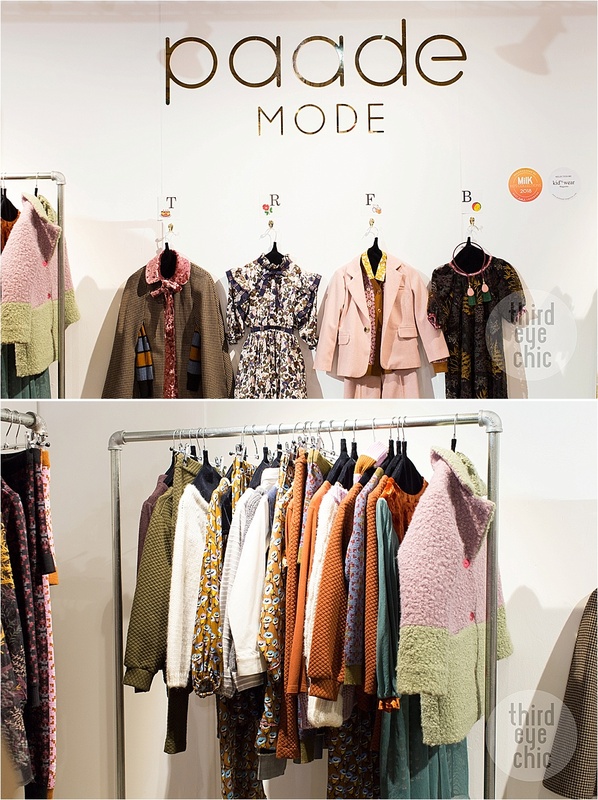 We are absolutely in love with the jackets featured above! Oaks of Acorn: Retro movies inspired collection featuring beautiful plaids, satins, and cottons. Love the use of different textures in a single garment. The collection has a solid back-to-school vibe. So nice to see you Bezanne! 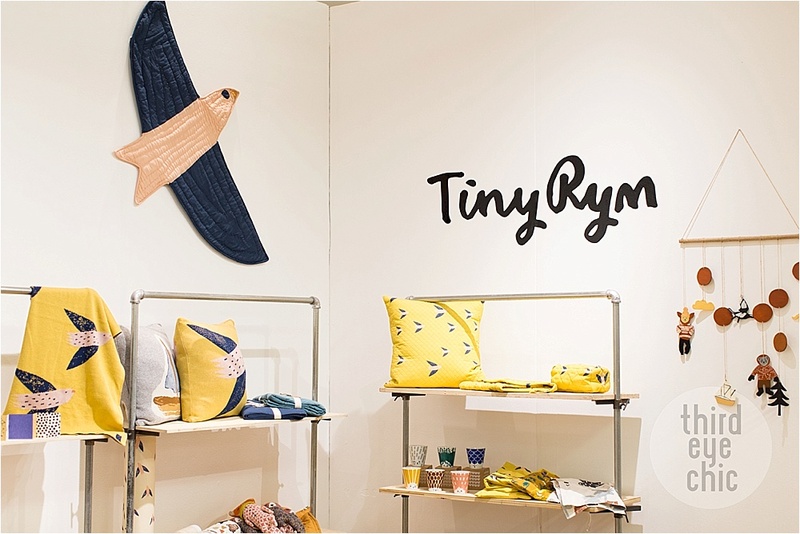 Also featured is Tiny Bitz with their baby gift sets with three different sized season appropriate bodysuits for the growing baby. Such a great idea! 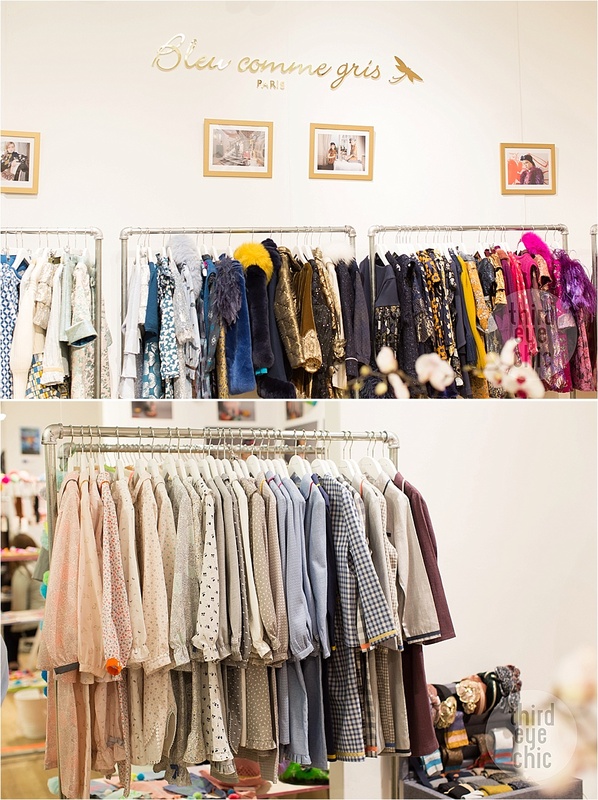 Blu Pony Vintage: Founder Bonnie represents the brand so well and took the time to walk us through the collection. We especially love the dresses featured above with removable lace collars - they truly took us back in time. 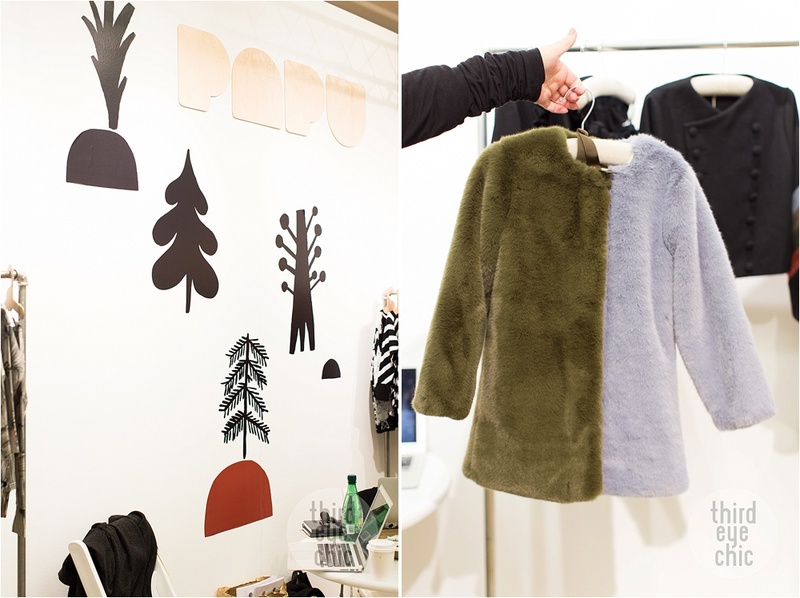 Left: Papu: Their abstract and geometric prints are always inspiring. Julia, so nice to see you again! Right: Carbon Soldier: I admire the little details that make the collection stand apart. A good mix of special and everyday wear. We are in love with the color block fur coat featured above. The colors are so unique! Nice to see you Barbara - safe journey back home after all your travels. 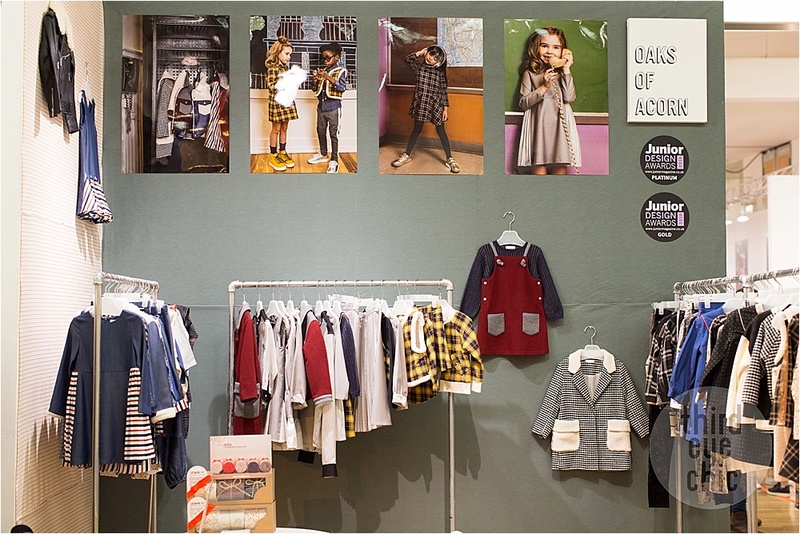 Noe & Zoe: Basics with a twist for uber cool city kids. Always a pleasure chatting with the designer Nici. 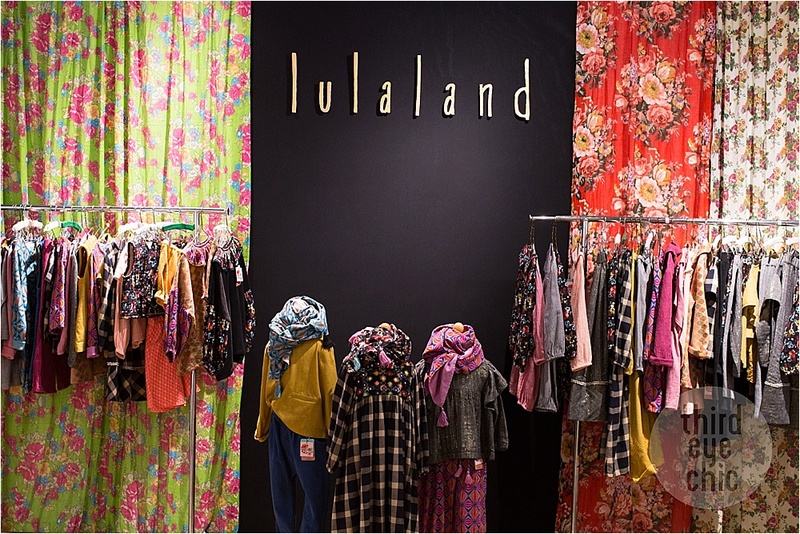 Lulaland: Beautiful colors & eclectic patterns with endless mix and match possibilities. Lovely seeing you and talking to you Lula! Tiny Rym: How did I not know about this brand before? 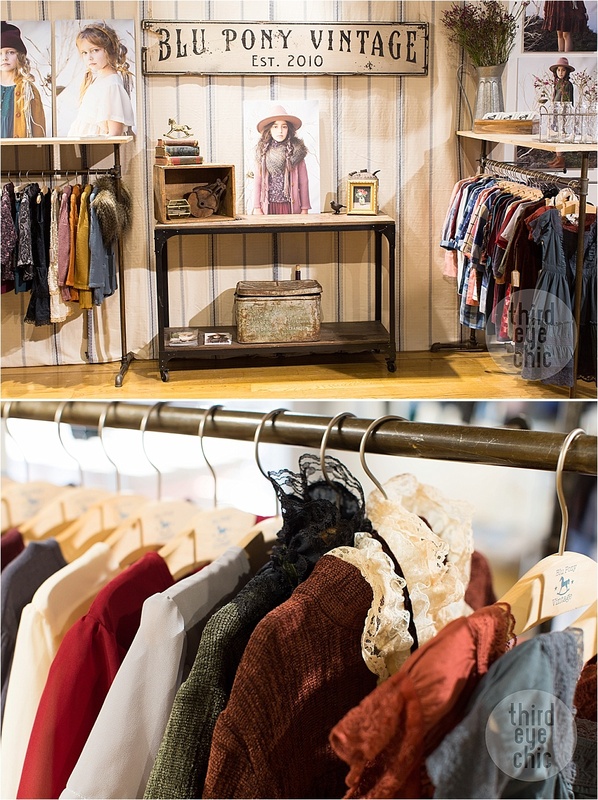 Their home decor line is so unique and wait till you see their fabulous debut clothing collection! We can.not wait! Staylittle Kids: A very retro chic collection! Unique graphics and nice textures. We absolutely love the pants featured above! Infantium Victoria: A very thoughtful collection with posh tailoring and use of organic and vegan materials. Unique styles without compromising comfort. 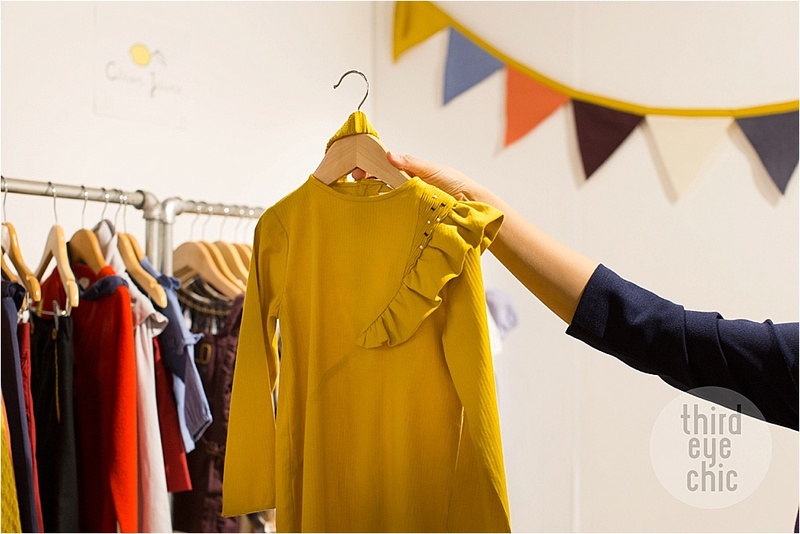 Founders Julia and Dinie really took the time to share their vision and we loved what we saw! Hustle and bustle at the show! 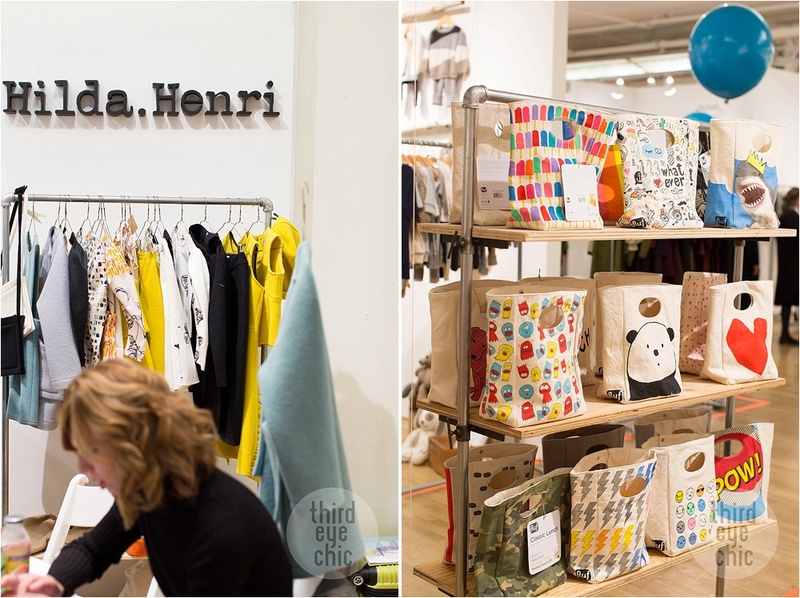 Left: Hilda.Henri - Special pieces in beautiful colors and prints. Right: Fluf - A playful collection of lunch bags, snack bags and pouches. Flakiki: Vibrant, show-stopping forward-thinking pieces. 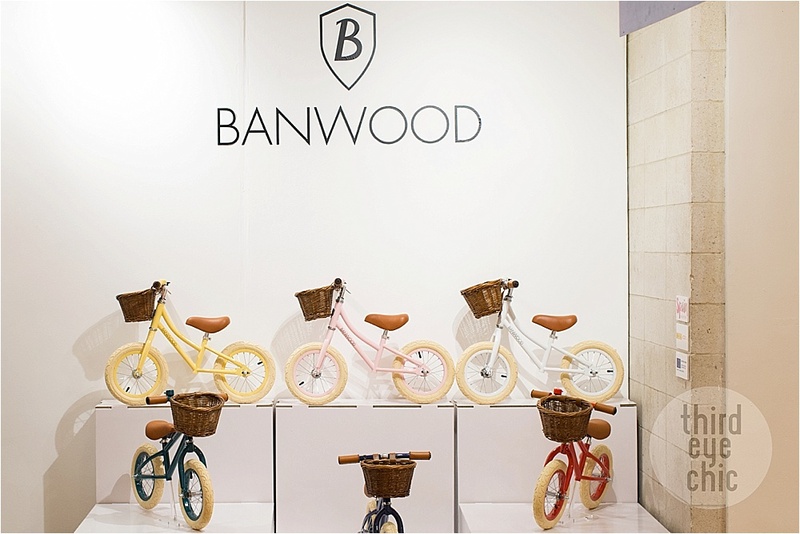 Banwood: Such stylish bikes! Can I please get one in my size? 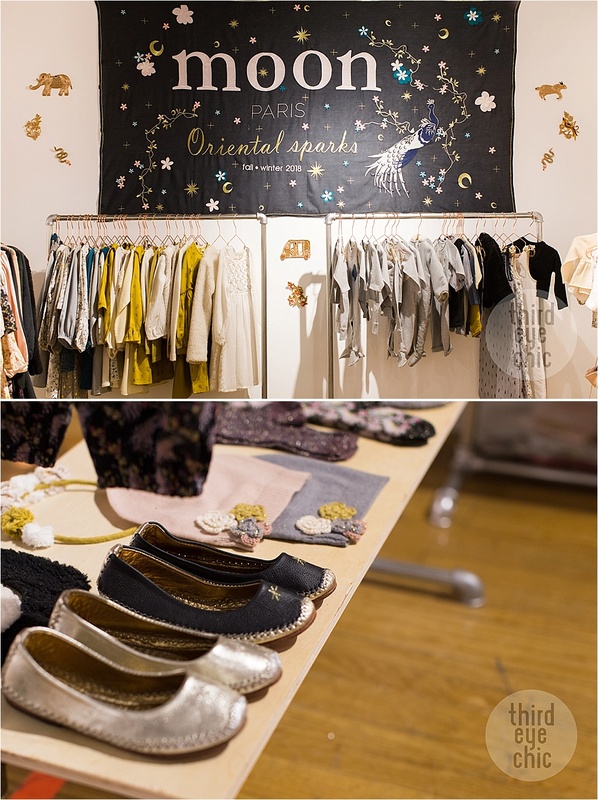 Moon Paris: Ethnic collection inspired by the spirit of far away countries. 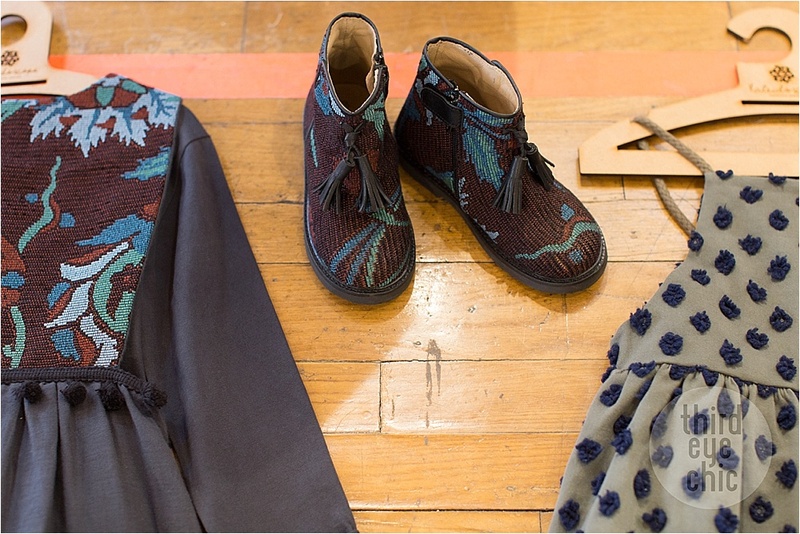 We adore these Morocco inspired shoes and simple 'mukeish' embroidery pieces. 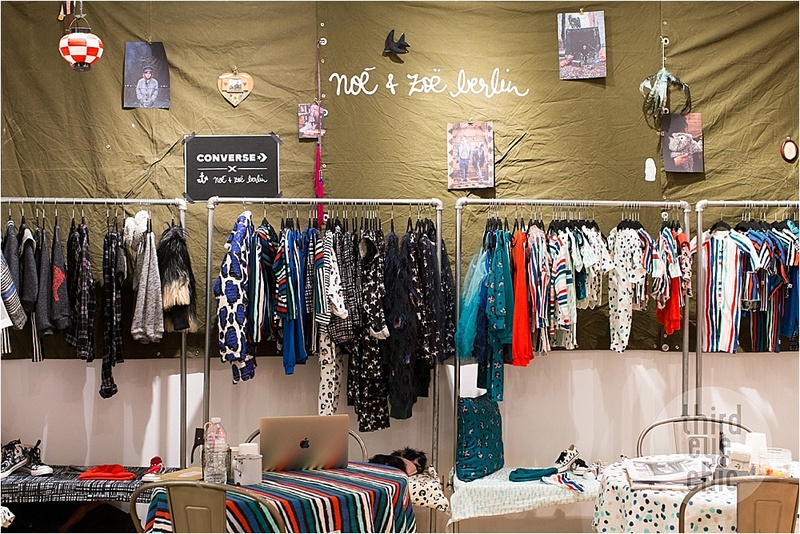 Like Flo: Cool, urban edge with use of lots of texture, animal prints and vibrant metallics. A large collection with ultimate mix and match potential. 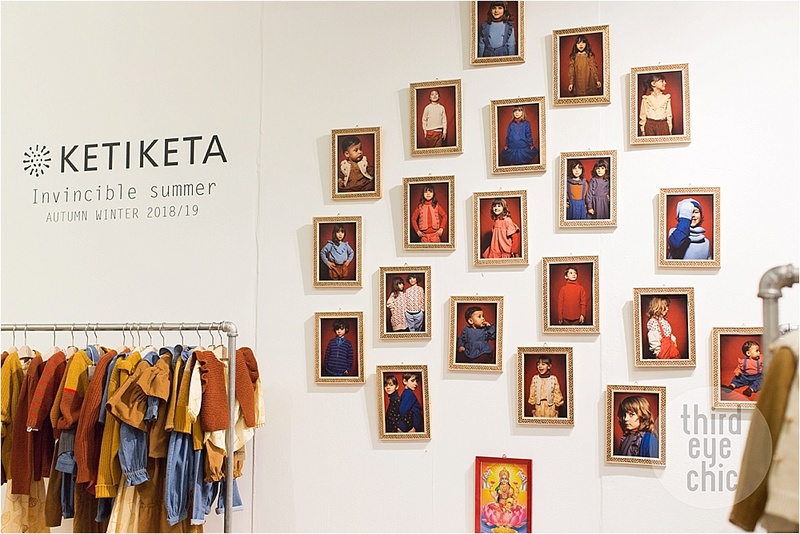 Ketiketa: Fall palette with beautiful knits, signature block prints, and organic cottons. 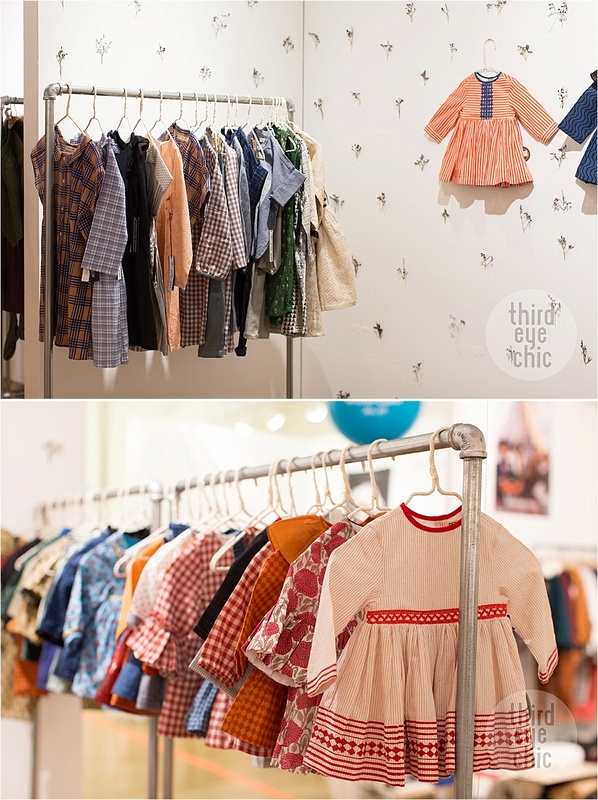 We couldn’t get pictures of some of our favorite brands like Wolf & Rita, Tiny Cottons, Mini Rodini but the wait until their collections lunch this fall is going to be worth it. It was a great show and if we missed you this time (especially home decor and accessories brands), we’ll be sure to stop by and say hello the next time! Adios until July/August! 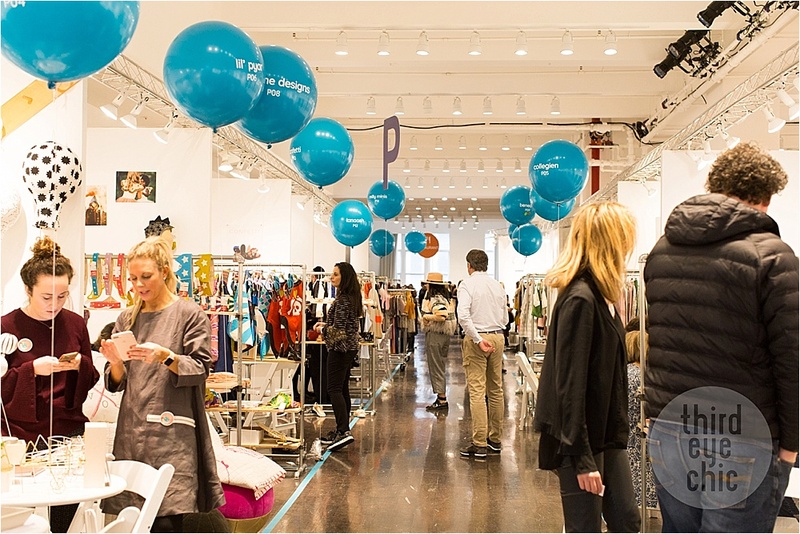 Click to check out our Playtime New York blog posts from August 2016, February 2016 and August 2015.